Not perfect form, but I'm workin' on it! I made it sets of 13 push-ups because I'm slowly increasing my rep count on push-ups. About a month ago I could only do a max set of 7 and I've worked it up to doing sets of 13, so I did as many as I can in the workout (which definitely made it harder!). In 20 minutes I completed 4 rounds + 125 extra single unders. I knew I only had a few seconds left at the end so I just powered the single unders as fast as I could. It was sweet. I finally got my jump rope to the perfect length so it wasn't catching on my feet and I just hit my stride. I've also noticed huge improvements with this. I could barely do 20 SU when I started and now I can do 125 SU straight! Also my double unders (DU) are really coming along. My record is 3 in a row, but I couldn't even do 1 when I started. The workout felt good and was a good challenge. If I could get to a point where I could complete 4 rounds of this in 20 minutes it would be amazing. So far I can't even do a 25 push-up set, and after 15 box jumps I was quite tired, but I'll work towards this as my goal. I'll come back and do this workout in a while and see how I'm progressing! Now it's time to to fuel up with some whey protein and a veggie stir fry! Have you done any great short duration workouts or seen progress? eewww. I don't like long hair on men - I don't get it! 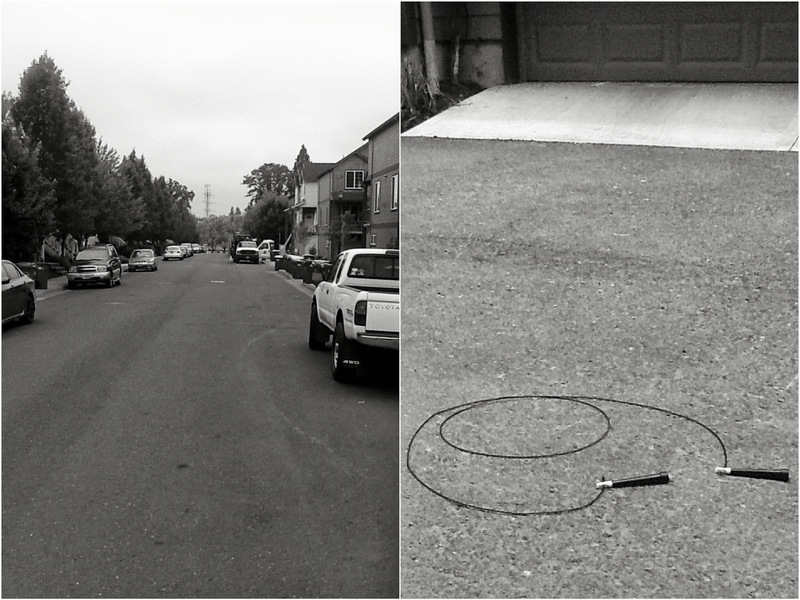 I also dislike jump roping... that is the worst - good for you for doing it! I'm kind of embarrassed, because I had to Google "single unders." But I DO know how to jump rope! Congrats on your progress! Keep up the good work. And thanks for the Gosling flashback!